Julie is a planner with MHBC and joined the firm in 2017. Julie provides planning consulting services to municipalities and the private sector for many aspects of the firm’s activities including development approvals, policy reviews, parks and recreation planning and agricultural impact assessments. 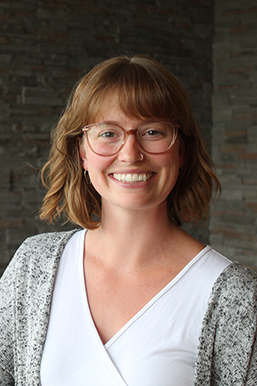 Prior to joining MHBC, Julie’s role as a Consulting Project Manager provided experience working with municipalities, government agencies and agricultural organizations on a range of research projects, including regional agricultural strategies and strategic planning. Julie also has experience coordinating and facilitating large stakeholder consultation processes and conducting qualitative and quantitative analysis of consultation findings. Julie holds a Master’s of Science in Rural Planning and Development from the School of Environmental Design and Rural Development at the University of Guelph. She is a Candidate Member of the Ontario Professional Planning Institute.